nothing in particular has changed. And if it goes wrong your hair will grow out or it can be colored again. 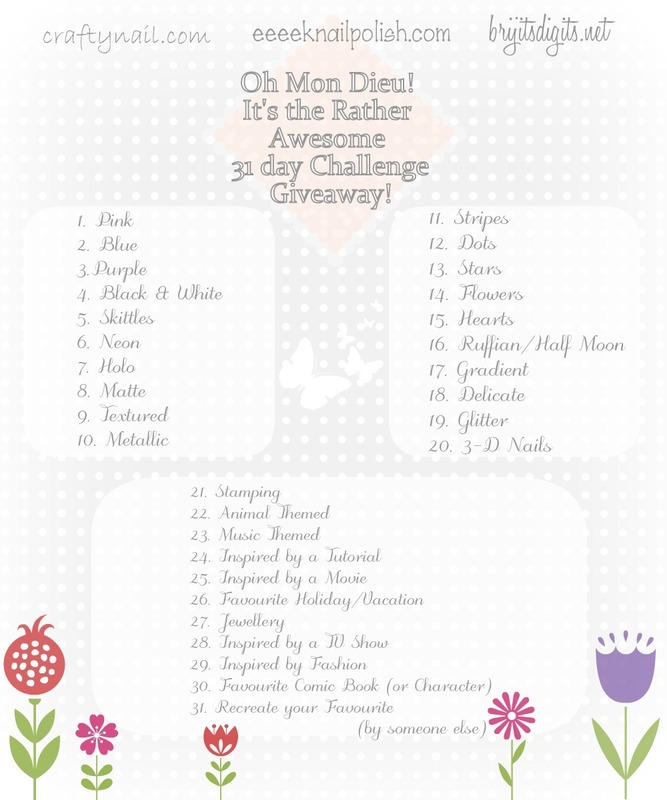 Okay so on to the OMD 31 Day Challenge Giveaway! It's day 6 and today's theme is Neon. Yummy Yellow is a CRAZY neon yellow creme color, it took 2 medium thick coats to get it opaque and the consistency was fine, had no problems with it. The only thing weird is that in the bottle it looks like the yellow and the white have seperated but when I applied it on the nails it was fine. So hope you all enjoy your Saturday and have a happy weekend. Really fun neon manicure! I really want to go lighter in my hair color. Can you believe that I've never dyed my hair once at all? Great! I have to go check yours out :) I have trouble with gradients, this one came out better than I hoped. Pretty pretty! I've always liked the orange-yellow-green trio, it's just so fresh-looking.